We are very excited to introduce our 2013 Park & Playground Equipment Catalog. 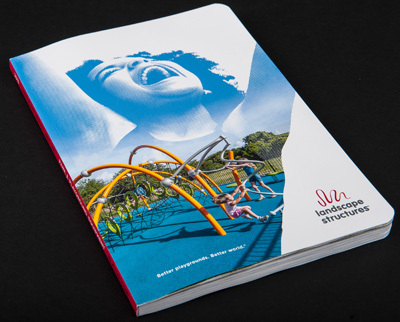 With more than 200 pages, our new catalog features many new products and offerings that are designed to inspire your upcoming playground projects. The catalog opens to a letter from Cofounder and Chairman Steve King on behalf of all 300 employee owners at Landscape Structures. We are all honored to be a part of children’s lives, and are constantly inspired by their imaginations and drive to have fun. Every employee here puts his or her heart and soul into creating innovative playgrounds that kids flock to and become community gathering spaces. Next, you’ll see our new product offerings for 2013 like Pulse™, which offers a multisensory way to add light, sound, touch and more movement to the playground. We’re excited to show off our new site furnishings collections—Designer, Vivid and Nature-Inspired—which will match your new or existing playground. We’ve also introduced new freestanding play components like the We-saw™, our multi-person seesaw that welcomes children and families of all abilities; the Flywheel™ Spinner that encourages social interaction; and the Log Stack Climber, which will expand your nature-inspired playground design and offer various levels of challenge. 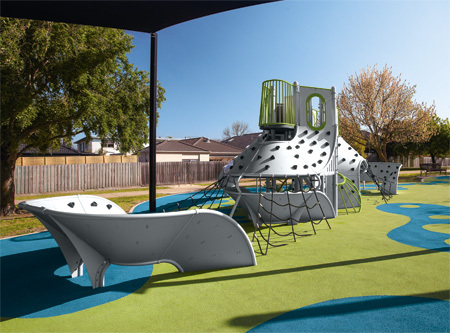 In addition to our new products, we have a section of signature playground designs that highlight our custom design and manufacturing capabilities. Our artists, designers and engineers look forward to collaborating with customers to help bring their ideas to life, and our focus on the details makes each playground an exciting destination for children who visit it. These are just a few of the highlights in the new 2013 Park & Playground Equipment Catalog, so take some time to page through the entire thing. You can browse our Virtual Catalog or request a copy be mailed to you at playlsi.com. 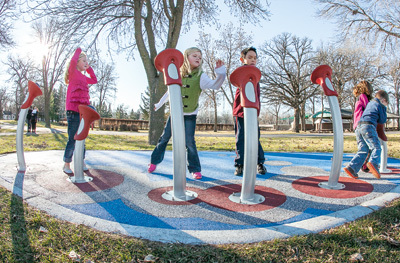 This entry was posted in Catalog, Design, Multisensory, New products and tagged playground designs, playground equipment, Pulse, Signature Design, Site Furnishings Collections, Steve King by PlayLSI. Bookmark the permalink.